Well, if these simple features were integrated, the SMS app would be amazing. I personally don’t like to unlock and then enter into the app to read the message. I was frustrated with this and decided to look out for something that can fix my problem and guess what? 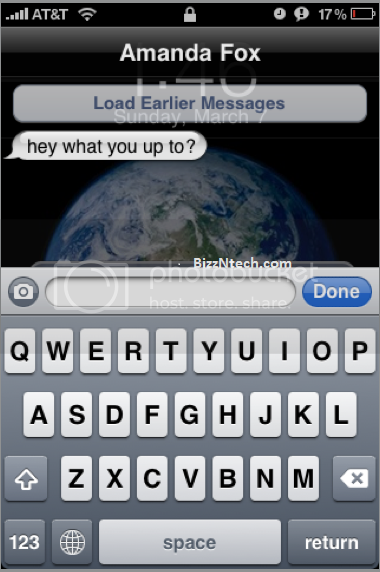 I came across ‘Quick Reply for SMS’ on Cydia. With Quick Reply for SMS, you can view and reply the message from home screen without sliding to unlock. Also, if you are on the home screen and if a message is received, it will show you the person’s image if you have set in the contacts thus making it easily identifiable. Moreover, if you don’t want to view or reply, you can simply click on the ‘close’ button to close the dialogue box. This tweak is absolutely free. However, to install it, your device needs to be jailbroken as you need to download it from Cydia. Just search for ‘Quick Reply for SMS’ and you should get it.